Is there an organized path that a Ba'al Teshuva can follow to learn Gemara and prepare the Daf by himself? I mean after he is able to learn with Artscroll. Sit with Jastrow's Aramaic dictionary and Frank's Practical Talmud Dictionary and look up every word and phrase until you start recognising you've looked this up before. This is the way I did it, but unlike every other person I know I enjoy finding words in the dictionary. If you have the opportunity then full-time learning in a Yeshivah would obviously be best. Otherwise, regular learning with a partner (or a group) on the same sort of level as you will keep you making progress and provide motivation to continue. A chavrusa with a patient partner on a higher level will also help correct your inadvertent misconceptions. Personally, I only felt I was able to learn Gemara competently on my own after two years of full-time Yeshivah, starting from scratch. Finally, the hashkafah I have been taught discourages exploring Acharonim until you are well able to extract the pshat from the Daf, and even then its far from the focus of your learning. There is a basic way of analyzing the text that should get you "in" to some degree. Identify every statement in the shakle ve tarye according to one of these seven categories. II. Understand how each move is achieving its goal. E.g. How did the proof achieve its goal. III.Make sure each move is relating to the next move. E.g. Is the resolution addressing the difficulty. Always check the language of each statement for the following: Ι. Superfluous language i.e. wordiness. ΙΙ.Repetition of the same concept. ΙΙΙ. Inconsistency in language. Ιν. Is there a chiddush being stated ? (i..e new idea.) ν. Change in language or change in law. Learn the material once. Either through a Shiur, Artscroll, whatever it takes to know Pshat. One should focus on the structure, where are questions, what are answers, which questions do the answers answer, etc. One should also take note of names (who said what). Review it inside four times. For this one should need only a normal Gemara, because one should already have learned the translations in step one. If one still doesn't remember them, one could look them up. By the end of this session, one should know the Amud. Spend the same amount of time one learned in Shiur in review of material learned in the past week. Spend two days out of the week (he suggests Shabbos and Sunday) as review days. On these two days, do not go ahead. Spend that time reviewing ALL the material one has learned in this program. There are some more tips over there, but this system does work. When I was younger I used to sit, as the top answer suggests, with a Jastrow, looking up every word I was uncertain of. I found this approach slow and frustrating, and after doing it for a couple of years, I still hadn't progressed to the point of being able to open up a random gemara and read it. What really enabled me to get really good really quickly was having a chavruta in yeshiva who went really quickly, and translated nothing unless I asked him to. I literally only had too options: sink or swim. We would learn a daf and a half every afternoon, and after we finished I would review it by myself. And then in night seder, I'd review the previous daf. And then in lunch break I would review the daf we studied a week before. Counter-intuitively, it wasn't fighting to understand the daf that taught me how to learn. It was seeing sheer volume of page after page of gemara, and with each iteration and page, becoming familiar with the constructs and logical paradigms used by the tana'im. I suggest learning lots of gemara with lots of chazara bekiut, just to get a feel for the style and language usage. Write translations you don't understand down in a little notebook in the first reading, and try to use that notebook as little as possible in revisions. Also try to use nothing other than your notebook for translation when you're reviewing. Be careful that your revisions are extremely precise. You must understand exactly how each word fits into the overall picture. Don't just accept that you got it right the first time. Recalculate everything in your brain every time. Slowly reworking everything will get easier. I used to take an hour to review a daf, and do so in around 20 mins now. Try to think in the language of the gemara rather than translating it in your mind first. The extra step of translation is a real handicap that you should deal with as soon as possible. Ditch the Jastrow if it's too frustrating, and just use an artscroll for a first read. If you don't remember it from the first read, you will become intuitively familiar with the style from the artscroll-less revisions. Oh, and if you can find yourself a chavruta who pushes you to your breaking point, that is a valuable chavruta. You should keep 'em. Try to do as much as you can on your own, and only look at Artscroll when you can't understand something. Then make sure to read it again in the gemara on its own. This way, you'll be able to get through gemara, and be able to read it without Artscroll. Using a dictionary will probably take too long. If you want to remember the words, you can always write them down from Artscroll's translation. Organized path, eh? I didn't find anything like that. In my experience I found very few systematic guides on how to actually approach sugyos, including all the assumptions of the Gemara, Talmudic logic, etc. The Ramchal has a couple works which have been translated into English (Feldheim), but they are extremely dry and technical, and relate to the component logic rather than overall approach. There is a famous work by Yitzchak Kampanton (Darchei ha-Gemara) in Hebrew, but I did not find a particularly well-defined derech there. Could be I wasn't patient enough to analyse the Hebrew text. In retrospect, if you have an analytical mind, get this book and learn up your sugyos with that. Ditto to Michael Sandler on the Frank, but I see it more as a reference - Big Blue (the Feldheim) is more streamlined and good for learning the ropes. I used Soncino before I was competent in the actual Talmudic language in the original, which is good inasmuch as it gives you the words whilst leaving the logic up to you, as opposed to ArtScroll. My personal advice: hammer away (long-term) until you understand the standard devices of Talmudic argumentation, and understand the framework of your sugya before you set your eyes to any commentaries. If some piece of the framework eludes you, that's okay; but IMO the Gemara speaks to us on its own without commentaries, even if you/I don't understand all of a particular sugya. advice: dont learn on your own you are bound to make mistakes. Chavrusa learning is there to prevent mistakes and also be challeneged. Learning gemorah is less about pshat and more about sharpening your midn to think through Torah lense. In fact the Gemorah in Makkos states that there is an issur to learn alone. It is disputed what this means and where it applies (e.g. some dont hold of it in Eretz Yisroel as the air there sharpens one's mind) however one who learns alonge is boudn to make mistakes. Learning with an Artscroll is called b;'chavrusa - except it takes away your training to think. www.dafyomi.co.il is a good resource they also have quizzes that you can use to test yourself on every daf. There are two programs that are available in many cities, in the U.S., Canada, and England (and probably some other places too). The first is called Fundamentals of Talmud, or in some cities Yesodei HaTorah. This is their website. It is designed to be systematic and break the gemara down in a way in which you can build skills on your own. The program is possible to do individually, they have material and audio shiurim which enable complete independence, but some cities also have Yesodei HaTorah classes. PBM is another program. It started in London, but has spread to many other cities and countries. There website is here, although you can look around the web to find other websites associated with them. They also have a systematic program, and their system has multiple tracks, and seems to be more thoroughly developed. I have limited exposure to it, but they seem to be more based on live shiurim than Fundamentals of Talmud is, and it is harder to track down where you can find them. Both of these programs are designed to foster independent study skills and are very organized. Personally, when I learned to learn gemara (post high-school), I took a chunk of 10 daf (happened to be the first 10 of Shabbos) and learned them until I knew them cold - I knew all the steps of the discussion, I knew every word, I knew how each phrase was used and which phrases indicated what. I found that within 10 folio pages, you will find a significant volume of critical vocabulary, Talmud logic-structures, and concepts to be able to get a basic idea of a Gemara. But my experience has been that everyone works differently. The Gemara is written in a mixture of Hebrew and Aramaic. Rashi and Tosafot use a mixture of Hebrew and Aramaic. To learn Gemara independently, the student must reach the level where the commentaries, starting with Rashi, start to anticipate the difficulty of understanding the words. This does not always happen, but in general the Gemara is not "flat" in terms of "difficulty," and even on a pure peshat textual level, this is a feature of the text. A student will recognize that a particular section is easy or difficult, and see this reflected in the commentaries. If you think it is hard, and Rashi is explaining every word, you are probably right. The most basic difficulty people have with Gemara is that the entire discussion assumes a familiarity with the contents of Chumash and the Mishnayot. There are a few parshiot, like Mishpatim or Shofetim, which will cover many of the laws in the Gemara, but also areas like Kodashim and Tuma an Tahara, which come out of Vayikra, and those Sedarim of the Mishna, are extremely difficult if one has not taken the "introductory course" of the Mishna. Learning a single Seder of Mishna, or two, with a commentary like Kehati would familiarize someone with the concepts of the Gemara, which would provide a basic level of bekiut necessary to follow the discussions and think about the issues in an intelligent way. Using specific knowledge of how the issue plays out in Torah She B'al Peh - Mishna, Yerushalmi, Tosefta, and Bavli - we might try to understand the flow of an argument, by looking at parallel passages and details that Tosafot might mention, or issues that Rashi is not directly mentioning. To do this requires very serious Torah knowledge, which is why people who can do this well are usually giving shiur. Something might jump out at the learner. They have to be able to go into the Rishonim and Achronim and track the different shitot and assumptions about the Gemara, along with how those shitot come out from the lashon of the Gemara or other sources on the same topic of the Gemara. This is what most people consider to be iyun. None of this is learning as if someone can read through the Artscroll Gemara, like Gemara is some book in a language you don't understand, that if only you could understand the language, you would be able to read it like Harry Potter or the newspaper. Gemara requires serious intellectual effort, but this is the highest form of serving God. One of best Rebbeim said, as we were learning a difficult Gemara, that he doesn't understand how people learn Daf Yomi. A beginner might find this difficult to understand. After all, how can the Rebbe, who is an expert, not understand how to learn Daf Yomi? The answer is that Gemara is like a mountain range, and you can't go very far at all without reaching a very high mountain. The mountain is bigger and more difficult the more you understand the complexities of the Gemara. So, learning independently can be more like mountain climbing, or walking at the feet of the mountains at a faster pace. If you know that topics are deep like the ocean, then it is okay to keep moving on, even though I would not recommend that as the major form of learning in a person's life, which would not be in such depth. Rav Ovadya Yosef zt"l used to say that he doesn't understand why people with one hour a day to learn would do Daf Yomi, they should learn Halakhot of Shabbat. But later, I heard that he said that by learning Daf Yomi, a Jew can learn every area of Torah She B'al Peh, and through that exposure to all areas of Torah achieve much. So really, there are different ways you can do it, and no limit to the depth that can be reached, although reaching the level of someone who can walk though, and recognize, the easier parts - that only comes through learning. L'fum Tzara, Agra - according to the pain, so too the reward. There is an easier way, that will give you guaranteed results. I do the daf yomi using the English Armaic Steinsaltz Gemora. I do the 1/2 daf on the audio (Rabbi Grossman), which takes a about 20-25 minutes, in the morning, and the other 1/2 in the night. After doing the audio I review the Gemora entirely on my mine own, gradually adding on the different meforshim. Doing it this way, you will pick up the language and begin to master Gemora, eventually on your own. Good Luck! Following a link from idaven.com, there's a website dafyomi.org. They have an audio track in English you can listen to for each daf. Be warned that the quality is not 100%, and the Rabbi may sometimes go a bit fast (especially if you're not from a Yeshiva background), but it's a good way to listen to someone talk about the daf each day, from your computer (you can also download the MP3 files and listen to them at your convenience on your music player). Why did the gemarah start here? Why did the Gemara give 2 answers to this question, is their a flaw in the first answer, or the second, or both? What is the reasoning behind this particular question? If you start to read rishonim, like rashi and tosafos, do the same thing. Are rashi and tosafos arguing? If they are, what is their reasoning? Why did rashi describe something that seems obvious, or use extra words to make what seems like a simple point? (I have been taught that rashi in Particular amongst rishonim was very very careful with every one of his words) why did this rishon say things in this way? This can take alot of time and cover very little ground, depending on how deeply you want to delve. If you still want to cover ground, you can write down these questions as you learn, and then designate a time, a different time of day, or once a week, or the beginning of your session, where you work on answering one of your questions. I learn by myself often, and I find that this method helps keep my mind sharp while still allowing me to progress through a Gemara. 1) Sefaria- quite literally "A Living Library of Jewish Texts." 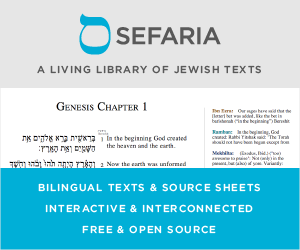 Sefaria has pretty much all of Shas translated into English, as well as most of the accompanying Rishonim/ pertinent Halacha seforim right next to whatever Gemara one is learning. 2) Mercava- similar concept to Sefaria-- ie translating Shas-- however the main difference is that Mercava has the Tzuras HaDaf (original form of the page). 3) Google Search in Hebrew- wonderful for searching any phrase/ concept. Upon finding a page that is difficult to understand, one can also toggle it back to English. Are all superb resources to help with one's Gemara learning! Not the answer you're looking for? Browse other questions tagged torah-study talmud-gemara adult-learning how-to . Any sources that discuss חזרה (review) programs in detail?